mix together all the powdered sugar and cream cheese. 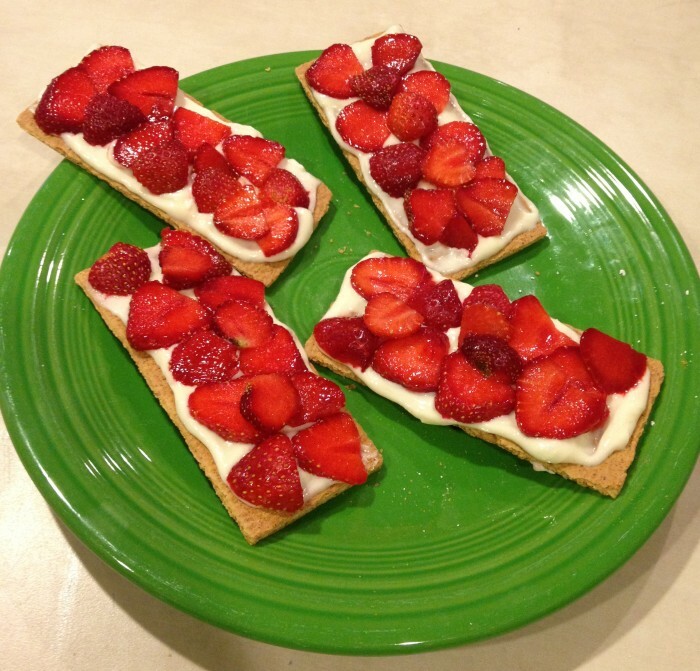 This makes a great snack for little ones craving a sweet treat and allows you to use up all those berries during this fabulous strawberry season! Enjoy!